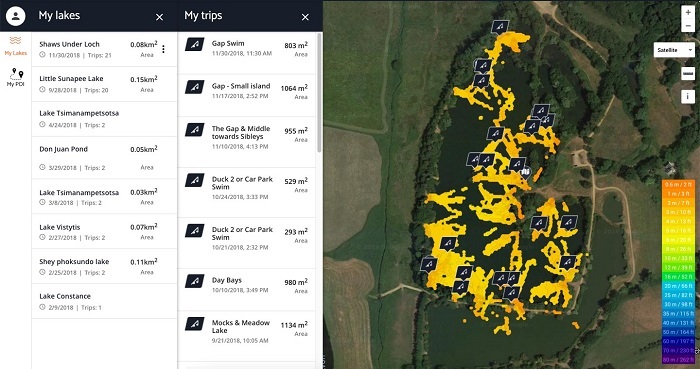 Richard Handel, avid angler from the UK, describes, in detail, how he uses Deeper Lakebook to his strategic advantage for fishing. 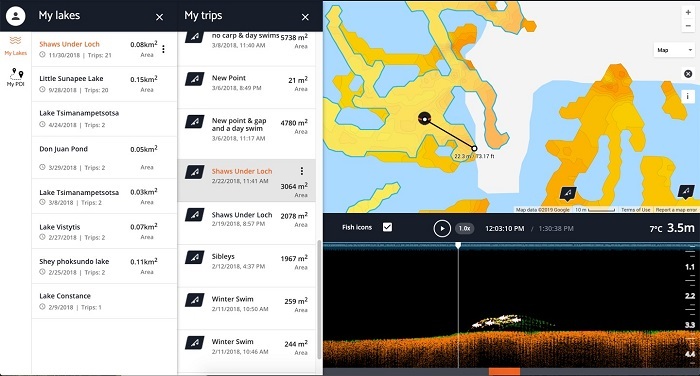 The Deeper sonar is so much more than just a fish finder or feature locator, you can also create bathymetric maps (aka lake maps). 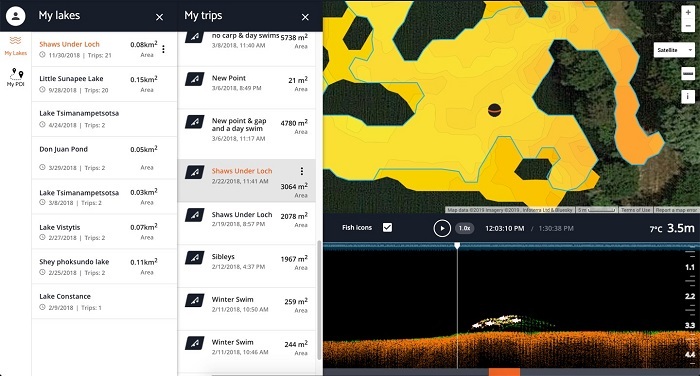 All of your sonar scans and lake maps are accessible on Lakebook, Deeper’s bathymetry management platform. 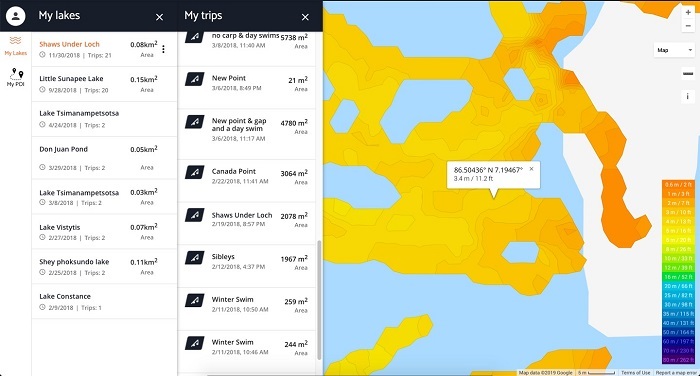 With Lakebook, you get to understand the topography of the lake, the hiding spots, interception routes, and the underwater highways, at a quick glance. 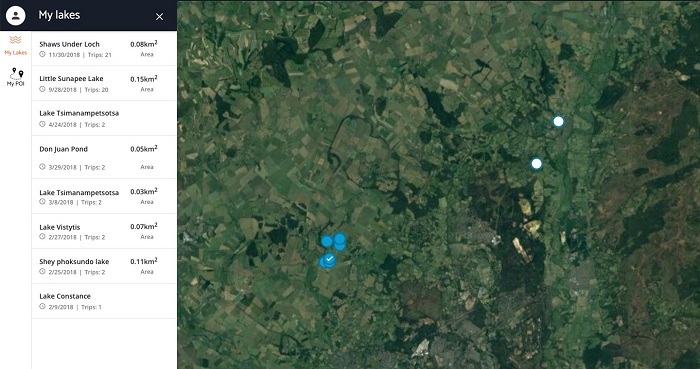 Since all my fishing data automatically syncs with Lakebook, I can easily access it on my mobile phone or home computer. Although my fishing buddies will often let me know which areas are being fished before I arrive, I will study my data on Lakebook before I even leave home. This gives me the ability to head straight for my perfect location and saves me a lot of time. 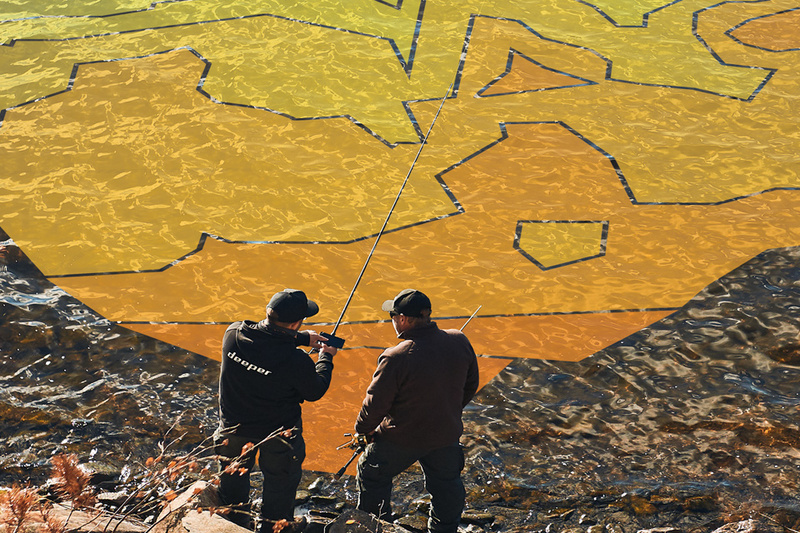 In this day and age of a fast-paced lifestyle, you can get the upper hand over other anglers and formulate a plan of action. So, armed with the weather forecast, my watercraft knowledge and lake map analysis, I’m ready to head out fishing. Because visuals always help, provided are some screen shots of Lakebook with helpful descriptions. When you login to Lakebook, the first thing you’ll see is an area map with mapped waterbodies and the menu bar on the left. I’ve chosen the “My lakes” option, which lists all my mapped lakes. To see details, click on the lake you wish to view (in this case the top one) or directly on the map. This will open up a second menu that lists all trips for that lake as well as the corresponding lake maps. The symbols tell you how you mapped it. For me, I mapped from the shore, so the symbol is a rod & reel. Now, I have a bird’s eye view of my lake with every trip right in front me and have a couple of choices now to view the area I want to fish. To view a mapped area, click on the rod & reel symbol. This will show your map outlined in blue with the corresponding sonar scan of the lakebed and any found fish. You can speed this sonar view by pressing the play button until it gets to 10x speed. This view is always a great opportunity for me to review the topography and choose the best area, like drop offs on the side of a small island. You can even measure distances between spots. I find that if you need to know the distance from the bank to a spot, it's best to switch over to map view, instead of satellite, as it’s easier to find your standing point (swim). You now have the ability to measure the distance from the shore to where the Deeper icon is located in the water. This gives you the distance in meters & feet. If you need to, you can turn the screen back to satellite view. This will enable you to cross-reference with horizon markers on the far bank. The beauty of being able to map from the bank is that it is extremely handy and can benefit your fishing a hundredfold. Basically, if you have your phone with you, you can tinker with Lakebook on the bank, at home, on your lunch break or if the weather is crappy and you just want to get on with your fishing, then Lakebook is certainly the way forward. This is why I love Deeper Lakebook so much. I can safely say that I wouldn't be without Lakebook, as it certainly helps me put fish on the bank. My best advice is to study it as much as possible and it will reveal some hidden treasure. The more you map and download, the better it gets. I have uncovered some hidden spots and overturned some areas that were supposed to have one type of feature like a gravel bar, but it turned out to be more a hump/dip. I have found Deeper to be very useful with my perch & pike fishing, even on the river & small lakes. You are able to locate baitfish and this certainly saves a lot of time. Deeper picked up a shoal of bait fish which produced lovely perch, in a spot just off old dead pads. 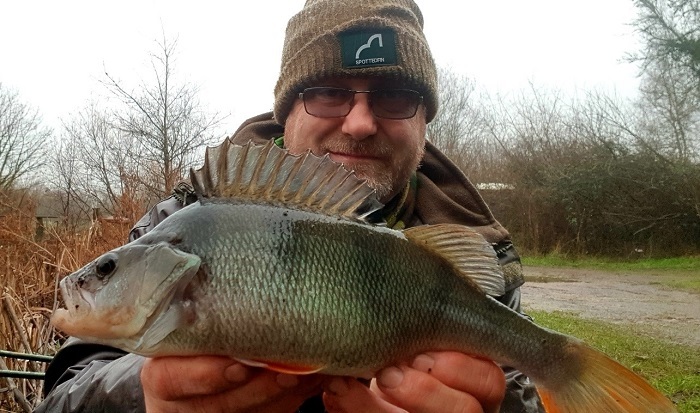 One of three perch that day, I was very happy with that. My name is Richard Handel and I was born in 1965 in Suffolk (East Coast of the UK). I have been fishing since I was about 7 years old. I started on small local rivers, moved onto gravel pits and then found carp fishing. I worked as a UK Operation & Intermodule Manager for a shipping company for 23 years. In 2015, they relocated their operation center to Estonia. I was offered a job in their head office in London, but this would have meant commuting approximately 70 miles each way. As a family, we didn't fancy this, so after 23 years, I left the company but was given a nice severance package. My wife, luckily, wanted to work full time, so I became a house husband. I now dedicate my time to looking after our two young children and fishing. This has meant a complete turn around in my fishing. I can now pick and choose when I go (within school pick-up times, of course). I have found a splendid new syndicate to fish this year. It includes 5 lakes and some 8 miles of river with only 150 members. It’s an amazing change to the way I am able to fish. I now have a small gardening business as well as a small tackle business, selling good quality tackle products at great prices, with no frills packaging. I am a consultant for Spotted Fin, Evolution Carp Tackle and Finygo Fishing App. I am part of the promotional teams for Asso Fishing Line, Monster Leads and Deeper, which, for me, has been an amazing journey. My personal best Mirror Carp is a 40.01 lbs., Common Carp 37.02 lbs, Pike 22+ lbs. Previous Post Kids Need Outdoor Activities. The Benefits of Nature.